Blair joined The McDonald Group in 2004. She is licensed in the areas of life, health, property, and casualty. 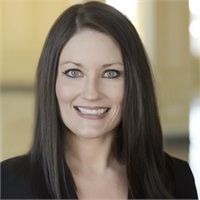 Blair Williford is the "voice" of The McDonald Group, Inc. She is the lifeline between the agents and the clients. Blair's friendly voice will greet you without being put on hold or being transferred to someone's voice mail. Her area of concentration includes reviewing all life and annuity applications as well as office staff supervision. Blair graduated from Gibson County High School in 2001 and from Jackson State in 2008 with an associates of applied science. She resides in Trenton, TN with her husband, Todd Williford, and son Cooper Williford.